This week I joined a group of volunteers organised by Katrin for the Sea Watch Foundation. 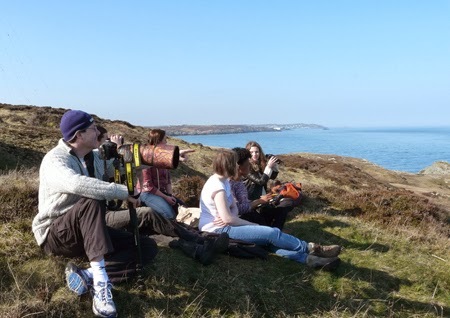 Our arduous task was to sit in the warm spring sunshine at Point Lynas to watch and record any porpoise, dolphins or whales. There was hardly a breath of wind with visibility up to 10Km. 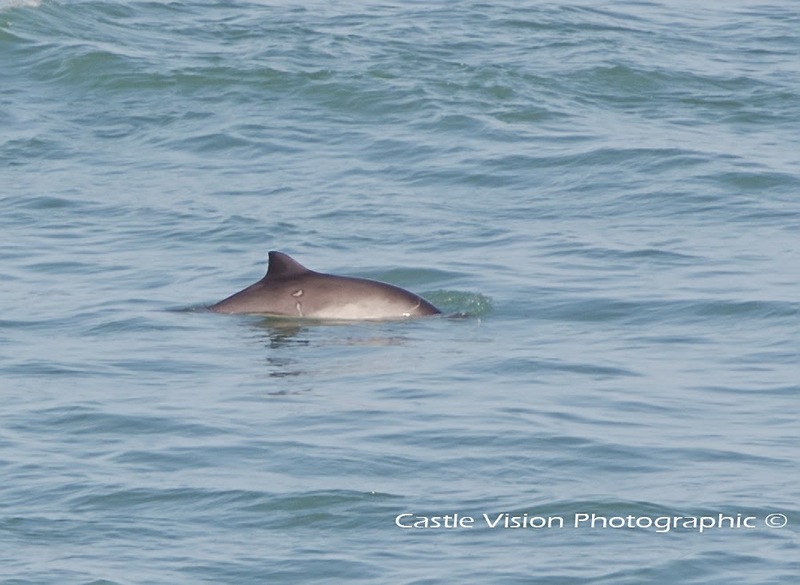 We’d only been there a minute when the first harbour porpoise was spotted. Later on we saw a further three and watched them as they dived for a few minutes then rose several times in quick succession to fill their lungs before diving down again; must be something tasty for them to eat off Lynas Point. A couple of grey seals, bobbing up and down like bottles, watched us watching them. One surfaced right by the rocks with an enormous conger eel in its mouth, wriggling but with no chance of escape. I ran down to the rocks to see if I could film it but by the time I arrived there was a sad looking seal without any conger; the others think the conger might have been pinched by the other seal. 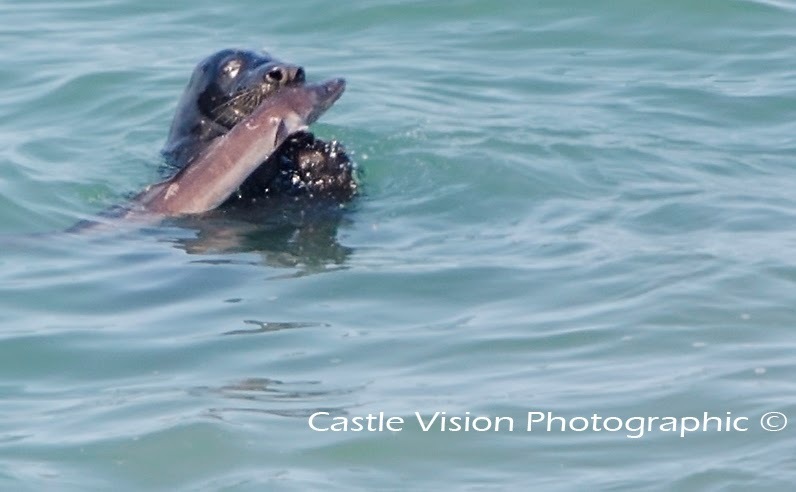 Amongst our group was Laurence Clark from Castle Vision with an impressive lens – the photos of the eel with conger and the porpoise fin were taken by him. Sea Watch is looking for more volunteers, so if you would like to get involved, please make contact with Katrin via the website. Lots of events planned. You will be able to hear Katrin on the Country Focus programme on Sunday 16th March.